Work from home and make a legitimate income as a stay-at-home mom. By legitimate, I don’t mean a few bucks here and there. I mean a part-time, or if you really know how to hustle, full-time income, from home. 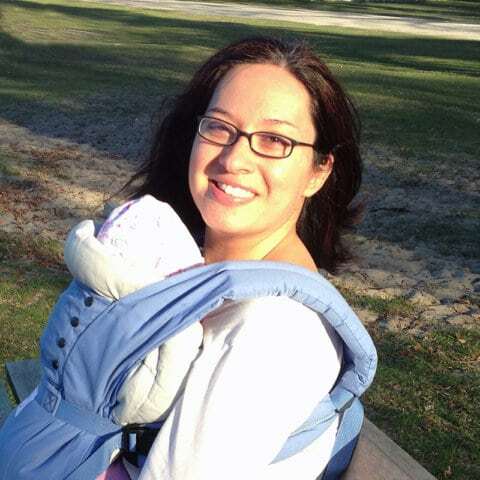 I cannot tell you how many moms I know that would love to be a stay at home mom or work from home, but don’t know how! If you are in that boat, I want to help you! If you aren’t sure if you are financially ready to live on one income check out my post on Living on One Income-Are You Financially Ready? Most moms who want to work from home want it to be easy and flexible. You want to be able to work during nap time or after the kids go to sleep. You want to be able to miss a day if you need to take care sick kiddos. Basically, you want to be your own boss and still reap the benefits. Here’s the catch. This is all possible, but it doesn’t mean you won’t have to work your tail off. Making an income from home doesn’t always equal easy. Many of the ideas I will share here will require you to learn something new. You may need to take a course or a few courses to learn the trade. You may have to work for free to get some experience under your belt. It may take some time to get your “side-gig” off of the ground. However, if you are truly determined to make an income and be a stay-at-home mom, you are in the right place. For each idea, I will share pros and cons of the job. I do this not to discourage you, but because I don’t want to encourage you to do something that ends up being too much. Now, I want to preface this and say that blogging is not easy! It is also by no means, a quick way to start earning an income from home. There is a very steep learning curve for those who have never blogged before. (I learned this the hard way.) However, there are some great benefits of blogging to earn an income. Here are the things I think you will love about blogging. Your blog can be about whatever you want it to be about! Being a mom, crocheting, photography, recipes, dog lovers, cleaning, whatever you want! There is a way to monetize almost any blog (I will share more about this later in the post). You can work at your own pace. If you want to earn money quick, you will have to put in a lot of work. If you don’t have that kind of time, you can slowly build your blog to eventually generate income. You can work on your own schedule. There is nobody above you to tell you when (or how) to do things! You will meet a lot of great people through blogging! The community of bloggers is a great one to be a part of! It can take a lot of time to grow your following and blog. You might feel defeated at times. If you aren’t clear and focused on your goals it is super easy to get distracted and spend a lot of time spinning your wheels. You have to spend some money to get started. There is a lot to learn and once you think you’ve got it down, something else comes along! It may feel like your work is never done. If you are interested in starting a blog, here is a great post about how to get started! The first question I get when I tell someone I am a blogger is, “how exactly do you make money as a blogger?” There are several ways to monetize your blog, once you have one. Sponsored posts. Once you build a social media presence and some loyal readers, you can start reaching out to companies to sponsor your blog posts. Some bloggers make a very lucrative income this way. Place strategic ads. Once you have a good following you can apply to place ads on your blog. From there, you will generate some income just from having your ads seen by others. Create your own product. Depending on your niche, you can create a product that your readers will love and sell it on your site. For example, If you blog about teaching, you can create printables, schedules, and/or sticker charts for your readers. You can also create guides or e-books about your niche. Affiliate Links. If you love to write about products you love, you can also sign up to be an affiliate for companies like Amazon or Target. When you write about the product you can leave an affiliate link. When someone purchases an item through your affiliate link, you will be given a small commission at no extra cost to your readers. Again, keep in mind, the income may not come flowing in right away. All of these strategies take time, patience, and hard work. However, if you are determined enough the income will come. If you’ve started a blog but aren’t generating an income yet, you could be a virtual assistant for other bloggers. I am currently doing this while I slowly work on my own blog. It is a great way to learn some new things about blogging and give you some direction (and hope). 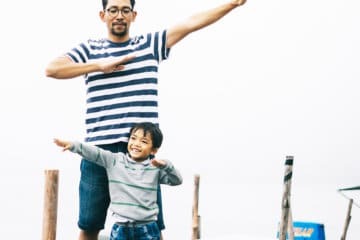 If you are interested in learning more about becoming a VA here are some courses that explain the steps of getting there. Be prepared as these are in depth and intense courses. Again, a lot of learning to be done, but this can be a quicker way to earn some income. There is always more work out there somewhere. You can set your own rates. You choose which clients/tasks you want to take on. Learn a lot about blogging. If you are trying to build your own blog, being a VA can take away some time. Rates can be competitive. You might end up doing a lot of work for a little money until you gain more experience. 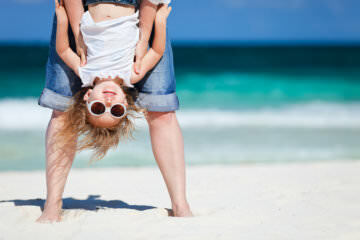 Home daycare can be a great option for making a full time income while staying at home. You must be willing to go through the process of getting licensed and be willing to open your home to other children, lots of messes, germs, etc..
You can stay home with your children. Provide your own children with social interaction with other children. It can be hard to take any time off as other people depend on you. You open your home to outside germs. You will most likely spend your day cleaning up messes (and your house still might be messy at the end of the day). You may not get any breaks if your kids don’t nap at the same time (if they nap at all). Make money on your own time from the comfort of your own home by doing freelance writing, graphic design, photography. Think of what you are good and and find ways to offer your services to others! Work from home (or Starbucks)! There is always more work to be found. The freelance world can be a competitive market. You may have to work on a deadline. Your income may vary based on the amount of work you are able to take on. 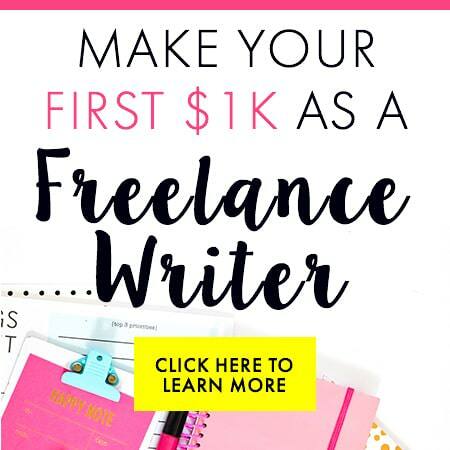 Check out my affiliate link for a highly recommended course on becoming a freelance writer! Analyze keywords, ads, and social media content. Don’t have any experience? That’s okay! Training is provided. Choose the amount of hours you want to work each week. Work when you have the time. You will need to go through training. You will need somewhat of a predictable schedule (be able to get in the hours you committed to). Just remember, working from home isn’t always easy. It doesn’t mean you won’t have to work your tail off. If you want to make money from home, most likely you will have to put in a lot of time and effort. You may not see the fruits of your labor right away, but as long as you keep at it, it is possible. Great information here, will look into the links! Good post! I am just now starting to get the courage to go for freelance writing, I figured, why not? I’m complimented on my writing a lot, so go for it. There’s only one way to find out how it will be, and that’s to just go for it. Right? Thank you! Yes, reliable, that’s the key! 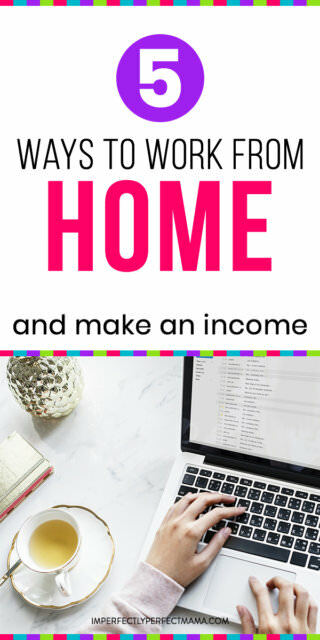 Great ideas, I love working from home when I can! Thanks! That is so great that you have that option! It is so nice! Thanks for sharing. I started a blog and I am working as a virtual assistant, but man it is hard to stay caught up and play/take care of the baby and the house. He is only 3 months old so hopefully, it will get a little easier. That is great! Unfortunately it probably doesn’t get easier as they get more and more busy! My thought though is by the time they go to school and I do have more time, I will be more established and making a better income!